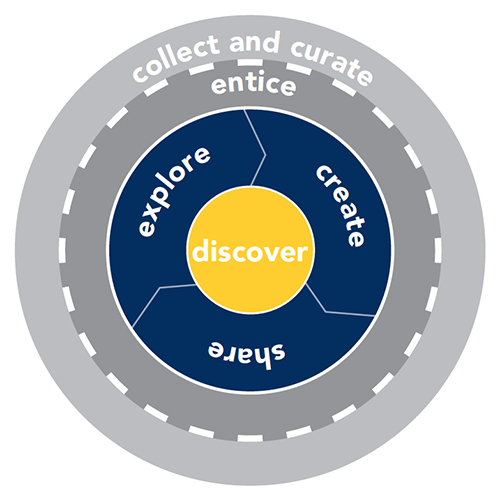 University of Michigan Library wanted to transform their graduate and undergraduate libraries to better meet the needs of a 21st century learning, teaching, and research environment. To help achieve this, brightspot worked with the University to provide visioning and planning to holistically reimagine the libraries’ physical spaces and service delivery, starting with the Hatcher-Shapiro Library as a model for other libraries in the system to follow. brightspot built a thorough understanding of current user needs by facilitating a series of activities with library stakeholders including tours, external research, interviews, a survey, and insight exchanges. We presented the current state back to staff which helped the team look at the current experience in a new way. An experience mapping workshop helped identify the desired experience and a service philosophy statement, service framework, and service delivery canvas were created to achieve this desired experience and provide a foundation for library staff to share and deliver services. brightspot identified priorities to further assess and then pilot. Pilots supported innovation and experimentation within the library organization and provided a model for testing ideas from proposal to implementation, while also establishing buy-in from library administration and empowering staff to own service experiences with agency and accountability. 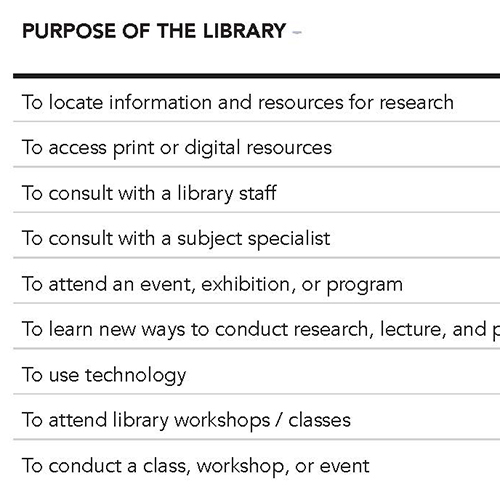 The space and service vision and guiding principles, service framework, and space recommendations helped optimize the University’s use of library services, collections, tools, and expertise. Since completing the project, the Library has been implementing the strategies like creating their innovation lab called the Hatchery, piloting initiatives, and using service design thinking to transform their organization.